Step 3. Inspect fuel supply pipe blockage. a. Remove pipe (6) (page 2-259). b. Inspect, and replace as needed (page 2-259). c. Install pipe (6) (page 2-259). Step 4. 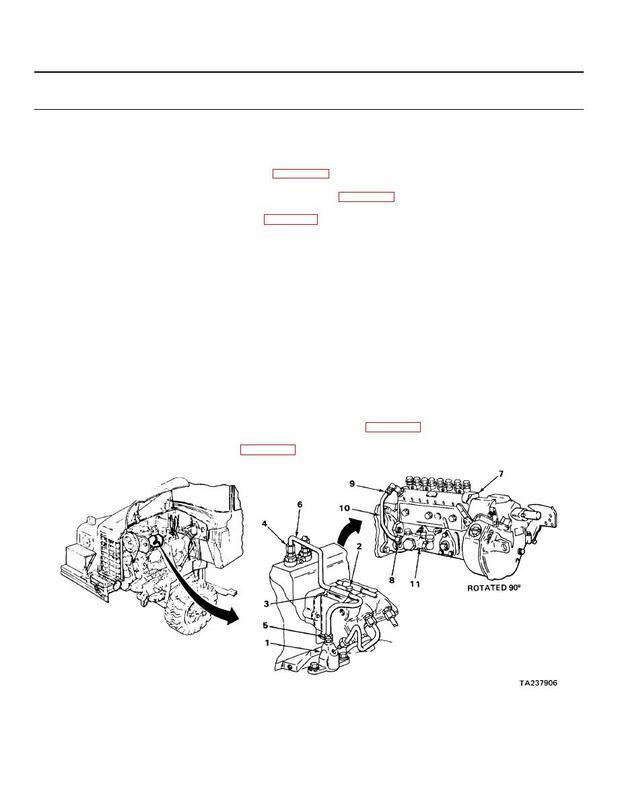 Check proper fuel pressure to fuel injection pump (7). tighten nut (8) using 11/16-inch wrench. pump (7), have assistant crank engine, and note gage reading. 11/16-inch open-end wrench, and turn pipe (10) into place.